I love starting a book without any before knowledge, as I have done with the audiobook of Vernon Subutex 1 that I have just finished. For a while it got me cringing and going “geez, why are you doing this to yourself?! Just turn it off.” At first it sounded like yet another deeply cynical story of yet another old straight white man who can’t handle a society becoming more diverse. Also the fallen music nerd/hero in the post-digital era thing hit quite close home for me – she could have written him from quite a few Subutexes I know IRL and they do not make me happy. In short: At first it seemed all very Houllebecque (no typo, I don’t want his name to be searchable) and I find him boring with his tired pseudo-taboo-breaking provocations. Trying too hard. Thankfully Virginie Despentes does so much more here. She has written a sharp and cruel but also a compassionate tale of a precarious, post-digital, polarized and individualized society. It’s a journey to the noughts in France with MP3 killing the record store and music critic stars. Despentes brilliantly cruises through perspectives of different classes, genders, religions – the physically violent husband, the transgender immigrant from Brazil, the fascist, the homeless woman, the muslim daughter who choses a veil against the will of her liberal father. Prejudices and stereotypes get deleted or confirmed in unexpected ways, only one thing is sure: It’s complicated! Subutex is the main protagonist and he is anything but the one you would wish to accompany on his journey from music scene fame to the rock bottom of society. He is the one we deserve though. Subutex is something like the opposite of Loudermilk, a tv show about a dry alcoholic ex-music critic whose social music capital has no worth in our post-digital time. Loudermilk is trying hard to do and be good and overcome his cynicism, he still believes things and people can get better. Subutex might be in a similar situation but is nothing like that. He simply tries to survive, he has no dreams left, he judges even his rare moments of compassion and his own fall with cold sarcasm. He is brutally self-aware, aware of how he would have perceived someone like himself from a better off position. As many of the characters in Virginie Despentes novel he is a test for your empathy. 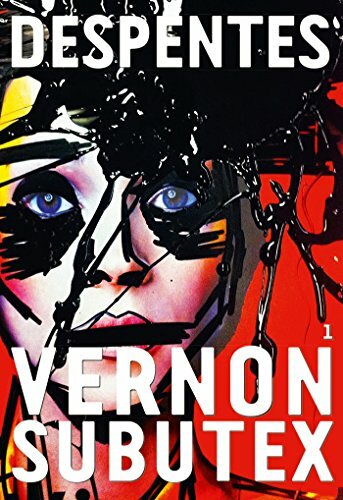 Vernon Subutex 1 is a rich uncomfy novel that does a great job in capturing the dynamics that are at work in today’s polarized societies. P.S. : About the audiobook: If you – like me – listen in short bits with days inbetween I would rather recommend the print book, as it make it easier to go a few pages back to refresh something about a character. The audiobook is well-done though, so if your habit is to listen in longer bits – go for it! I will switch to reading for the other two books in the series.